The famous Grappa is a unique Italian drink. The all Italian Grappa is traditionally made using pomace, discarded seeds of grapes and stems and stalks that are normally a byproduct of the entire wine making process. The famous Italian Grappa has been popular since the late middle ages. Also known as the ‘firewater’, the Italian Grappa has been Italy’s favorite drink for ages. Italians are famous for adding this strong drink to make their espressos even stronger. They call it correcting their espresso. Do not forget to try the famous caffè corretto the next time you go to Italy. 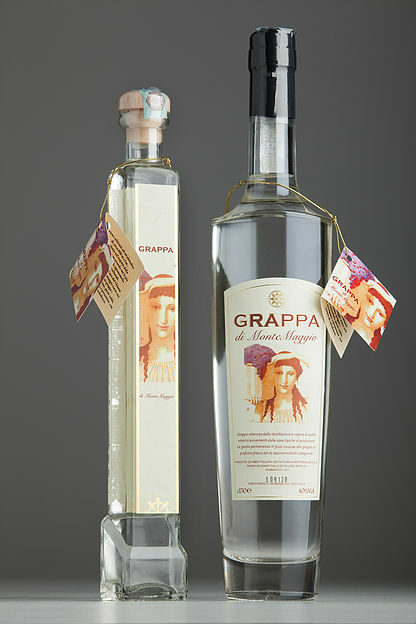 Grappa was once famous only in Italy, today it is popular all around the world. Being originally made in a town called Bassano del Grappa with around 40,000 citizens in the northern Veneto region in Italy, the Italian Grappa was made as a byproduct of the famous Italian winemaking process. It got its name from the town it was first made in. This rough drink was usually consumed by the Italian farmers as it used to keep them warm in the long winters. Till the 60s it was the drink of poor farmers and farm ladies who couldn’t afford expensive wine. Grappa didn’t used to be tasty back then but it used to do a great job of keeping people warm. The Italian Grappa is normally classified into different varieties according to the age, the grapes that were used to obtain the marc and the vegetable essences that are used in order to add flavor to it. Giovane meaning young – It is kept in tanks made out of stainless less steel after it has been produced and till it is bottled. Aromatica meaning Aromatic – This variety of Grappa is made from grapes with a strong aroma for instance Muscat, Gewürztraminer and Malvasia. Affinata meaning Refined – This kind of Grappa is left to age for around 12 months in wooden barrels before it is finally bottled. Invecchiata or Vecchia meaning aged or old – This kind of Grappa is left to age for around 12 to 18 months in wooden barrels before it is finally bottled. Stravecchia or Riserva meaning Very Old or Reserve – This kind of Grappa is left to age for around 18 months in wooden barrels before it is finally bottled. The single variety Grappa is usually made out of the marc of only one variety of grapes that is mentioned on the label. Polivitigno meaning Poly-variety – This kind of Grappa is made using the cuvée of only one grape variety that belongs to the same family but has different provenance, harvest times, ripening period and vinification methods. Aromatizzata meaning Flavored – This kind of grappa is infused with a natural vegetable essence like Blueberry, Liquorice, Rue herb etc. after the distillation process. The all Italian Grappa may not be considered a fancy drink in the olden days, but today it celebrates popularity and finesse like any other alcoholic beverage. The Grappa at Montemaggio is made at the Distillery Berta, of Piedmont. Distillery Berta is a world known Grappa distillery. It is famous for its aromatic and soft grappa, thus making it the main characteristic of our special grappa. After the fermentation of our finest grapes, workers from Berta come with hermetically closed tanks and gather all the masts and the seeds. They close it in such a way that helps in protecting the aroma, so that the grappa that is made is finely flavored and deeply aromatic. Currently, we are making young and aged grappa. The young grappa is available for sale at Montemaggio and the aged grappa will be available for sale by 2018.